The day I found out that I am pregnant with my first child was one of the most astounding, emotional and happy days of my life so far. In our minds we can imagine how we will feel and react when something long awaited happens, but this was much more intense that I could have guessed. I doubt that I will ever forget the amazement and disbelief that I encountered upon seeing the two little pink lines on the pregnancy test. I just kept repeating “oh my God, OH MY GOD!”, my boyfriend had to sit me down and get me some water to calm the shaking and crying that I just couldn’t hold back even if I had tried. I can’t remember a time when I was more over-joyed, my life was changing and I couldn’t have been more happy. Si usted está embarazada, felicitaciones! I guess maybe I should mention that I live in Costa Rica, and my doctor only speaks Spanish, which is great, but sometimes an issue for me since my Spanish is at about the level of a three year old. Thankfully my partner is Costa Rican or “tico” as they are called and he helps me out immensely with any translation that is needed. No translation was needed in this case though, I knew immediately from the smiles of my doctor and my boyfriend, that it was true! I was in fact going to have a baby in less than eight months. Things were going blissfully well for the next days and weeks, until one day when I noticed something a little unusual. I was prompted to head back to the clinic for an examination and got some news that I was neither expecting nor excited about. The doctor told me that I was to rest from now until the end of my pregnancy. This meant no yoga, no running, no NOTHING! My initial reaction was one of confusion and frustration. We had just moved to a new house, and I still had to un-pack, clean and paint the whole place! All of this added to having to cut out yoga; the one thing that was to be my saving grace through the ups and downs of pregnancy, labor and delivery. Something else that I have not gotten to yet in my story, is that I am a yoga teacher at a beautiful resort called Anamaya. I teach there a few days a week in addition to working in the reservations department. As you might be able to imagine, being told you can’t do yoga as a yoga teacher was bordering on devastating. I spent a few days in a bit of a funk over this news, but feeling sorry for myself didn’t feel like me, and it didn’t feel like yoga. I quickly realized that if the doctor had known more about yoga he might have said “do not continue with an active asana practice”, rather than not to do any more yoga. Upon this realization, all of my teachings and experiences with the yoga lifestyle came flooding back to me. I didn’t need to do yoga postures to “do” yoga! There is a whole world of yoga practice out there that has precious little to do with asana, let alone anything physical in the body. I spent some time reading books such as the Bhagavad Gita and reflecting on what was most important to me in life. I studied Raja’s 8-limbed path once again and found particular interest in re-familiarizing myself with the yamas and niyamas. I researched into pranayama techniques that are safe during pregnancy and even put together a pranayama workshop that I can teach our retreat guests at Anamaya. I bought a new book on restorative yoga and planned out some new classes to teach when I am back to teaching more often… in fact I became so busy with “yoga” that I wouldn’t have even had time for an asana practice. Through all of this, it really hit home with me just how vast the world of yoga is. There is so much to learn about ancient teachings and about the self, that it truly is a never ending practice. My pregnancy is progressing nicely, and keeping yoga as a big part of my life has been a major contribution to that. I am able to continue practicing and learning in new ways; teaching myself patience and humility. 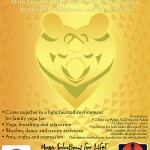 I honestly believe that filling my life with all of this yoga has helped me relax and prepare me to be a great mother. I feel like I see the world in a more complete and peaceful way, I am proud and excited to be bringing my child into this beautiful life. If you’d like to submit your story of how yoga has transformed your life, please click here. 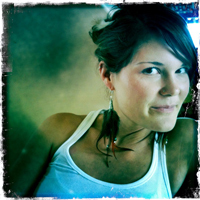 Mandy Lawson is a certified yoga instructor originally from British Columbia, Canada, now residing in Cobano, Costa Rica. She is currently teaching yoga classes at Anamaya Resort and Retreat Center for both local students and yoga retreat guests. Currently expecting her first child, Mandy is enjoying the wonders and challanges of being a pregnant yogini.